“Anyone else want to ski Nebraska with me tomorrow?” Surprisingly the answer was no, how could that be? We’d just got 18” of powder in the Front Range and I heard Nebraska got a few inches. It was time to hit it while it was fresh! Jon and I headed north. We escaped the crowded Front Range roads and highways and soon found ourselves in the surreal world of the plains. Big blue sky comes down to meet golden brown grassy hills with snowscapes mixed in. 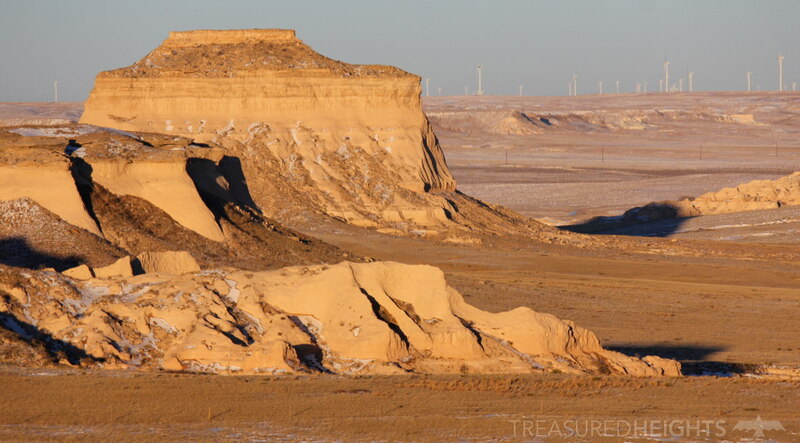 I really wanted to hit some of the prettiest parts of Nebraska like the rocky canyons close to Scottsbluff, Independence Rock, Toadstool Geological Park and a few other spots I’d found which have potential steep gully skiing or just scenic canyon-bottom cross country skiing. Today would be just focused on the state high point called Panorama Point. Highpointing is not new. People have been going around visiting state high points for decades. It is a fun way to combine fitness with seeing our country. Some people take long road trips and get to really learn about the states. Some millionaires have chartered small jets and drivers to rush and do them. Personally I prefer the middle ground of doing it occasionally and getting time to think about each trip. In the 1990s I wanted to ski the highest peaks of each European nation, and somehow that translated to starting skiing the US highpoints in 1998. Eventually I narrowed that down to just the snowy colder states because flying last minute to Mississippi after a rare 2” snowfall could get expensive. Glen Plake’s journey around the country to ski at ski resorts as far south as Alabama was pretty cool, however for the highpoints project I need a critical amount of snow to bury “most” rocks and gravel. 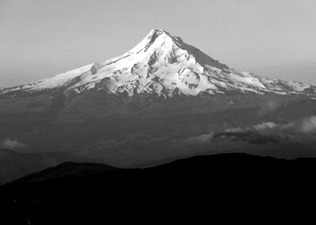 High points are either farm fields or natural mountain areas, there is no snow making on them. Mountains like Hood and Mansfield have ski areas on them, but the snowmaking never extends to summits. Nebraska is the farthest state south in my list because it’s already getting hard to capture the snow here due to the blue skies, intense sun, low snowfall and intense winds that transport our precious snow away. Escape the crowds of Front Range trailheads and enter the solitude of the plains, all while close enough to see Longs Peak in the far distance. Despite all the snow problems in Nebraska they have skiers and some spots for “backcountry” when the conditions allow. You can find the Omaha Ski Club and the Cornhusker Ski Club in Lincoln. 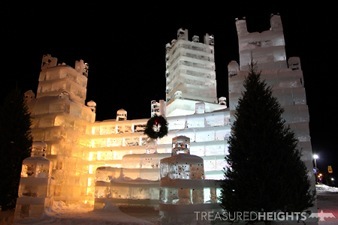 Their activities are focused on ski trips to New Mexico and Colorado. 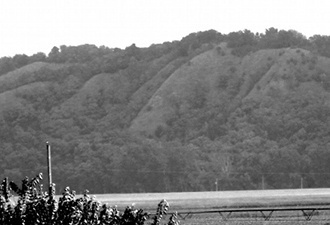 Just across the border in Iowa you have Mt. Crescent which looks fun when it’s in. As far as my research shows the last “ski area” in Nebraska was Nebraski at Gretna. That hill had 200’ of vert. Pawnee Buttes about 15 minutes south of Nebraska’s Panorama Point. 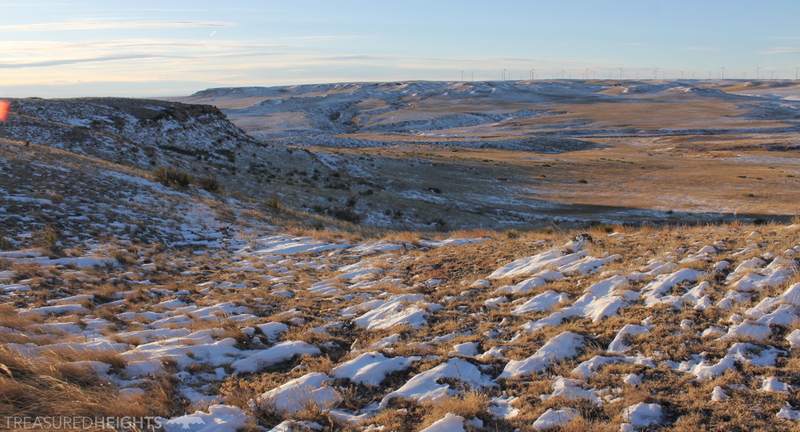 Panorama Point geologically is part of the Pawnee National Grasslands, however it’s on privately controlled land. I combined Panorama with the grasslands and you can read more about my ski at Pawnee National Grasslands on the National Forest Foundation website soon. For the Panorama Point part of this trip I passed a farm with bison. It was really incredible seeing these animals with the open plains in the background. I couldn’t help but thinking of my readings of the fur trapper days of this region. The travels of James Clyman, Hugh Glass and other are fascinating. 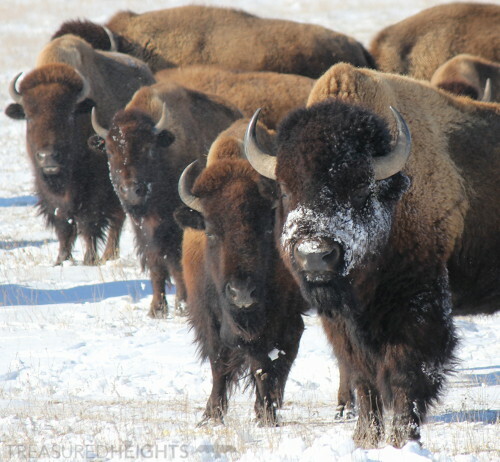 Clyman spent the winter with the Crow and witnessed the great buffalo hunts. These creatures were imperative for the survival of both Native Americans and the fur trappers. I skied the final short leg of field near the highpoint to finish off this goal. I stayed close to the car as the owner of the property does not want people hiking or biking from the paved road to the high point marker without the safety of being in or near the car. If bison are nearby they could charge and be dangerous. If you are interested in doing the high point and getting exercise I recommend driving straight to the highpoint (after paying the $3 fee) and then driving 15 minutes south to the national grasslands to hike to the Pawnee Buttes. Overall we had a beautiful day out at the big skies of Western Nebraska and Eastern Colorado. I look forward to getting out to other quiet and pretty corners of Western Nebraska in the future. 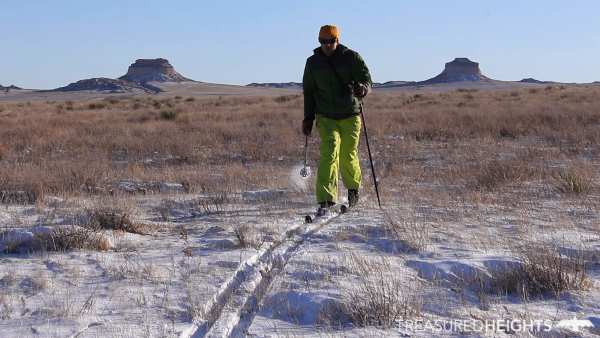 Don’t ski at the high point, go to the nearby Pawnee National Grasslands. Some areas are more wind-scoured so expect a hike if snow is not more than 3” and if wind has been at work. Conservation issues: The Pawnee Buttes area have been heavily tainted by oil and gas development in just the last decade. 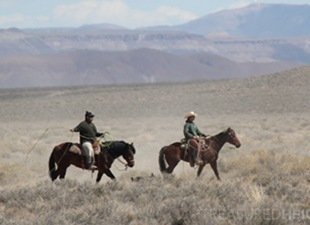 Only 3,000 acres of 193,060 acres is protected. Some steep gullies (50-300’ vert) in other sections of Nebraska could kill. Wind loading occurs with large cornices on the east facing sides of some canyons. It doesn’t take many inches of snow with high winds to make thick cornices. As you’d expect there are no formal avalanche resources for Nebraska. Get weekly photos on your feed from Treasured Heights from around the US on Facebook or , Instagram.